Marie Antionette wore that? THat's amazing. Hey, you know how in EMPRESS there was Marie Antionette's room? I didn't exactly get that concept. What do you mean HER ROOM? It meant everything but the four walls (which remain at the palace of Versailles outside Paris). So all the furnishings, wall decorations, etc. I LOVE the Hope Diamond. I've seen it a couple of times. I'm going to check the Delhi Purple Sapphire. I have read about a 'bloodstained' jewel- and I believe it was black. I'm going to go check those other two out. Wow! thats amazing but really sad. i'd be too scared to even look at it even if it was behind glass! 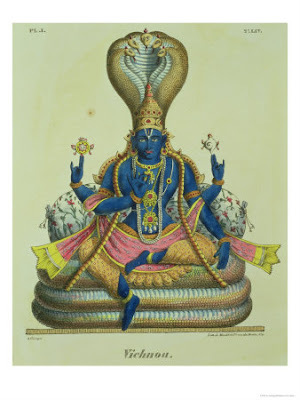 "a remarkable percentage of cursed gems are said to have been pried from the eyes of Indian idols." Yes, but what percentage of people actually believe that? Not me, at very least. Oh, and Ananka? Where can you buy The Empress's Tomb? I haven't gotten my hands on a copy yet (the horror!) and I can't find it at Border's or Barnes & Noble or various other stores and places, including the library. i get it now, ananka. thanx. by the way, do you know if she, per chance, had it on when she was beheadded? That would be weird! poor marie, i just found out that she was falsely accused of saying that terrible quote. Can you believe that? That would really stink. what a sad life she had, she made some mistakes, but wasn't she only like, 17? Patsee: Yeah, I don't believe it, either. But they were all stolen in one form or another from India. As for ET, you should be able to get it from any of those stores. (It's a little disturbing that you haven't been able to find it!) But there's always Amazon. UDN2KMN: I think she was 14 when she was married. (Believe it or not.) But she was quite a bit older when she died. (Though by no means elderly.) She was an interesting person. Not quite the villain that people have made her out to be. qma is probably turning in her grave as we speak! o yeah, i forgot, why is there that new html site? isn't this one good enough?! ha ha. *Screams* Oh my gosh! What kind of bookstore or library doesn't carry the Empress's Tomb? are you JOKING? that bookstore must be terminated- IMMEDIATELY! we'll take 'em down spring. one nincanpoop at a time. speaking of the empress in the bkstores, yesterday I was in Barnes and Noble, and in the teen bk section I really felt like crying. I whole entire shelf practically dedicated to gossip girl and some other mush, then down in the corner behind a display I find one lone copy of the Empress. Totally demoralizing. Amazon. Okay. I'll keep that in mind. theatre, i know exactly what you mean! Gossip Girl is taking over the world! It's just mindless trash! i can't believe it, no wonder their aren't many irregulars or members of The Curious around. I'd like to read one just to see how stupid they are. no wonder some girls are so nasty, i mean when all ur exposed to is THAT, what do you expect? The Hope Diamond is NOT too hopefull! Do not nock gossip girl you'd be suprised how many usefull things there are! Lip gloss efects any secret outfit. You would have to kill me to put on that cursed ring! No kidding. QMA is kinda like Oona, betrayed. Hay, getting over the bug yet?? P.S. you could, maybe, order THE EMPRESS"S TOMB at Borders Book Store, or wait for it at the library. Personally I think the Clique and Gossip Girl (I've read some of the Clique) effect those with poor will-power and those who are incredibly insecure negatively. I hope the reason there was only 1 copy of EMPRESS was because all the others had been bought on October 2nd. *sigh* It's just wishful thinking I guess. hey maybe i'll try them(gossip Girl) i mean i'm not looking for role models, but it can't hurt to explore, can it? I wouldn't worry too much about the Empress. She's doing just fine. She just doesn't have a TV show dedicated to her yet. I have read numerous novel mush like that, for laughs. On my darkest days, they make me thankful that I am above that. People that depend on Clique and Gossip Girl are just insecure with thmselves. I sound like a shrink. The Empress will rule the world!!! LONG LIVE KIKI STRIKE AND HER MERRY BAND OF IRREGULARS!!! !MAY WE NEVER FALL SUBJECT TO THE POP-CULTURE BRAINWASH THAT HAS TAKEN OVER AMERICA!!!!!!!! Well maybe she will have a TV show... you should try to get one - after more books are out!!! Go I.M.! You are so right! Ejr most poeple die AFTER they wear the diamond. Whatever you like! Wild has refused to say any thing to me. yeah whatever, i have more important things to worry about other that gossip girl( like that science test this week that is giving me an olcer!) glad we started a multi-opionated discussion here, it prove we are intelligent people. most other girls would be like: ... Like yeah, i mean GOSSIP GIRL, i'm so happy its a show now. Like totally, i understand, if only i could get the remote to work... hey, do any of you know what a bookstore is? Or an empress for that matter..."
EJR: Thanks! Yes, I'm feeling much better. Who's AN? He just discovered Runescape? It's the coolest game ever! 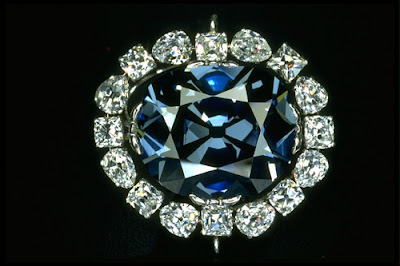 I've been to Washington D.C. and seen the Hope Diamond. It was pretty cool.